If it wasn't the cold air aloft predicted by the models, it was the southerly jet that prompted a chase to the Northern Tablelands. The surface lifted index was predicted to be between -4 to -6. The jet was a southerly and the maximum speed at 300hPa was expected to be just under 100 knots. Based on the surface moisture profile, there was drier air aloft which enhances the cooling effect due to evaporation. So my favourite substance hail was definitely on the cards. I was inquisitive as to how storms will develop and progress in a southerly jet! Now, it seemed that Matthew Pearce was eager to go and liked the conditions as well. Our target area was mainly the Glen Innes to Inverell and areas to the west were under the jet maximum region. After another last check in the morning, it was decided that the conditions were still ideal. I left just after 8am and headed via the Putty Road through the Hunter towards Tamworth. Matthew Pearce was probably an hour behind. 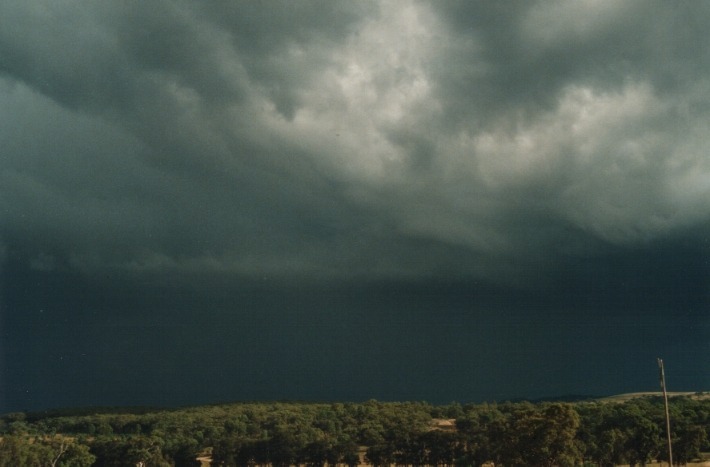 There was light rain from the Putty Road into the lower Hunter but this then became scattered. One of the exciting thing about chasing the Hunter and North West Slopes and Plains is exactly that. 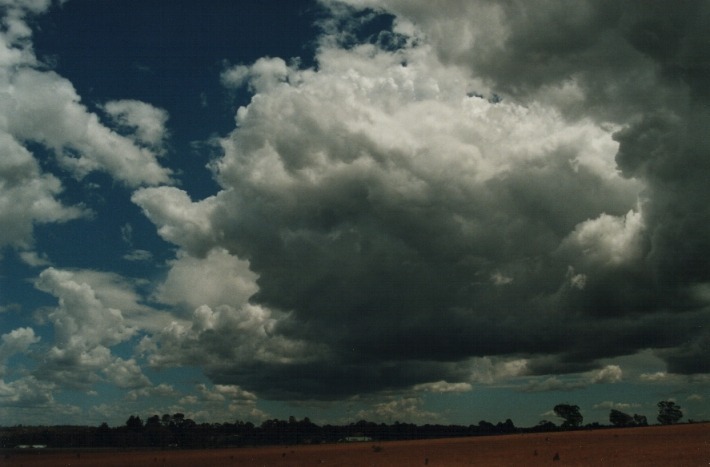 Stratocumulus over the Sydney region gives way to altocumulus castellanus and sometimes cumulonimbus within sight. 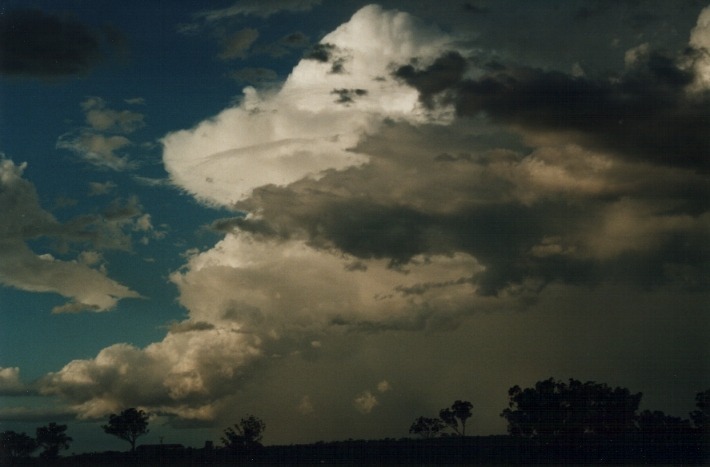 Normally once over the Murrurundi ranges, you would see cumulonimbus developing somewhere. This time though I was getting a little anxious that I could see nothing! Neither could Matthew Pearce. Of course, it was early in the day. 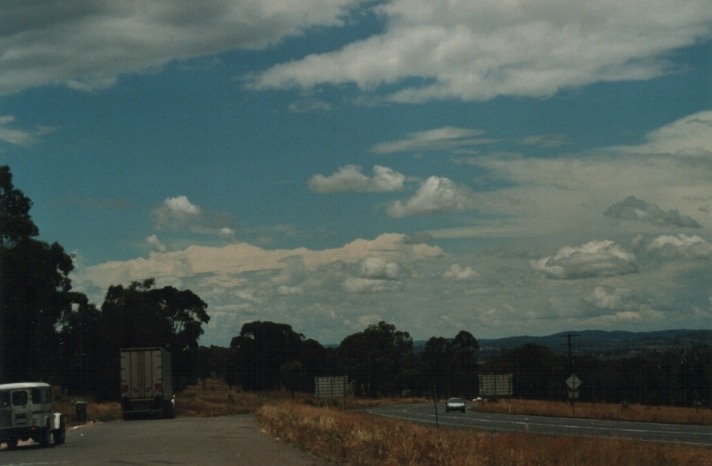 It wasn't until I got closer to Tamworth that things began to look better. You could see cumulus to the NW horizon bubbling up. There were altocumulus and altostratus to the south with rain areas consistent with what I had passed through on the Putty. I decided to use Tamworth as a base to let Matthew catch up. 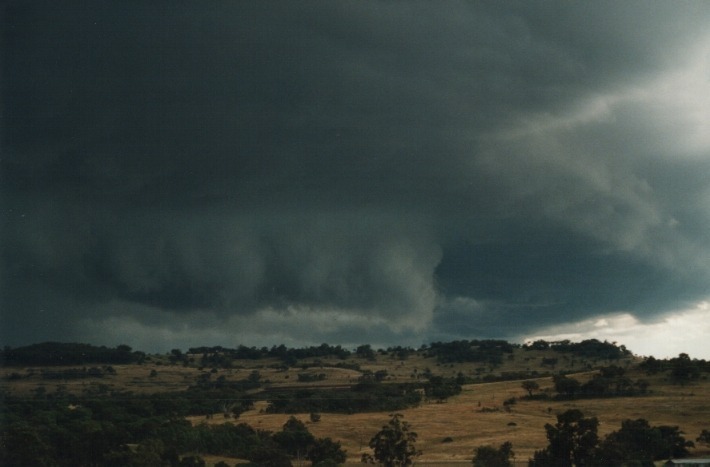 As I ate lunch, things began to look interesting particularly to the north northwest of Tamworth. Unfortunately, I could not contact anyone via the mobile phone as the system went down! Using the public phone, I found Matthew Pearce was having lunch at Murrurundi. I decided to head into the Northern Tablelands. It was now just before 1pm. And what a site it was! 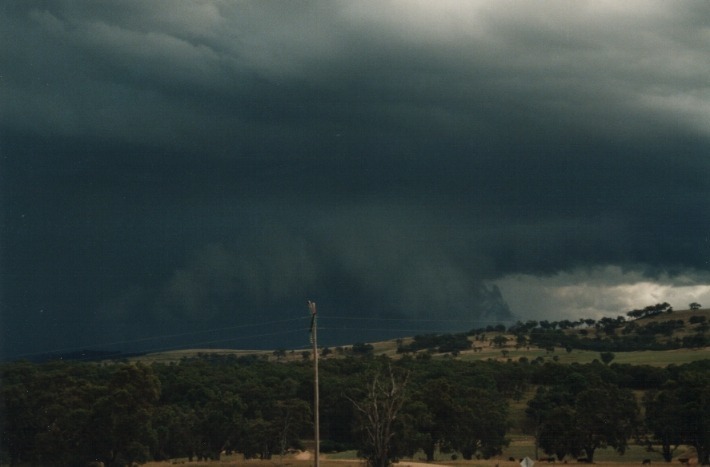 The best words to describe it was "The Northern Tablelands breads big storms!!!" And this was no exaggeration. It seems that due to the elevated plateau area, that storms develop earlier in this region and seem to go up without the problem of a cap on such days. In other words, massive cumulus develop straight into cumulonimbus. This was helped by the colder than normal pool of air at 500hPa. Moonbi Hill was the first photograph and video stop at around 1:15pm. This time nobody was with me but I worked furiously nevertheless to cut any stops to within a few minutes. 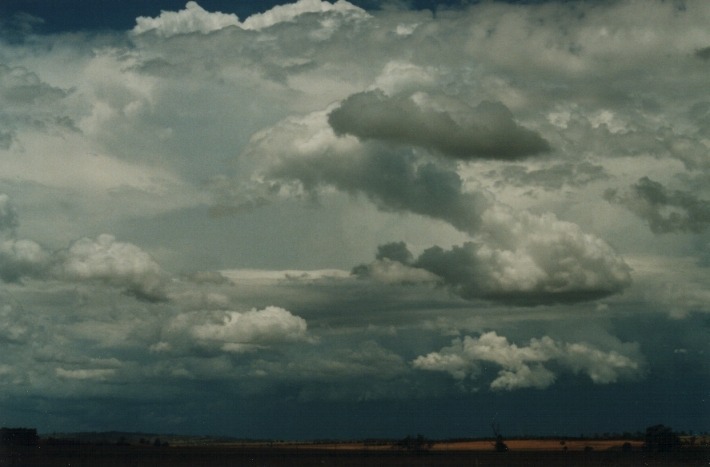 The cumulonimbus to the north northwest was definitely severe but other cumulus were covering its view. 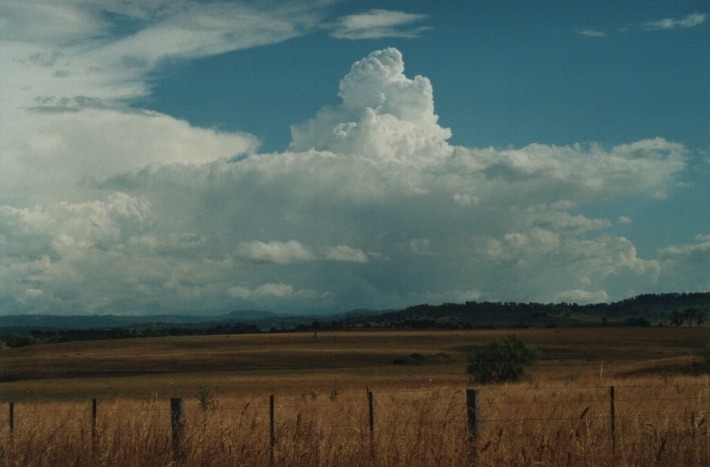 There were other major cumulonimbus to the north or northeast of Armidale. The tops were crisp and had backsheared anvils. 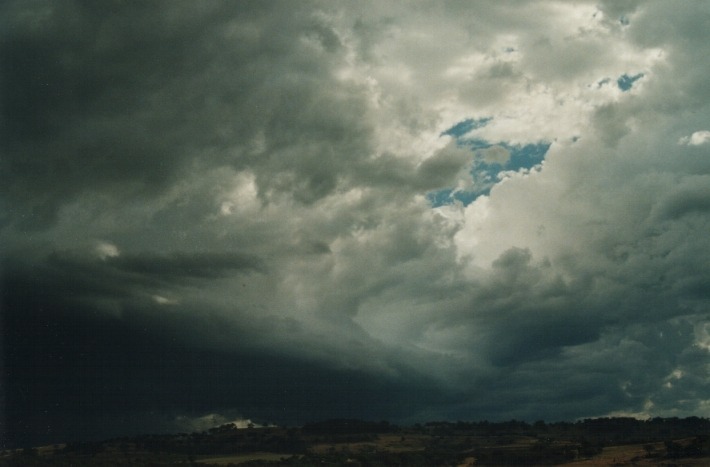 In other words, by 1pm, there were severe storms developing mostly in a line near Glen Innes and north. 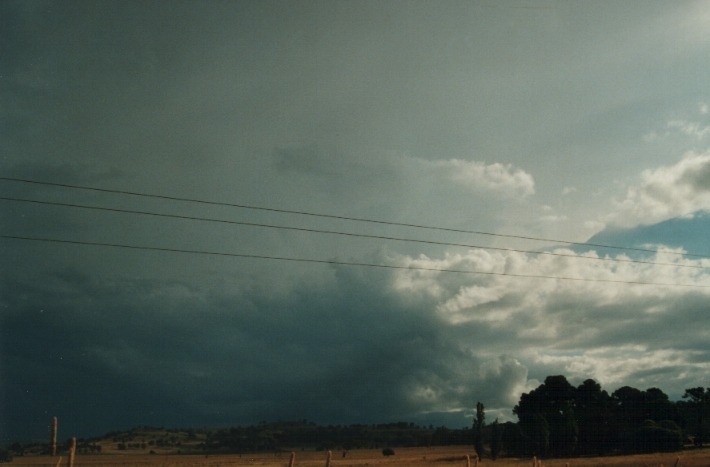 As I headed north towards Armidale, the development began to spread further south. A couple of stops south (1:40pm) and then north of Uralla for photographs and video and I then headed towards Armidale. 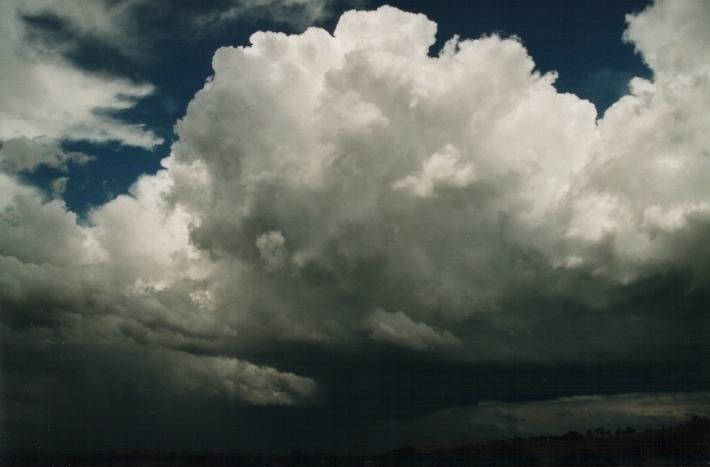 At this stage, there were more larger cumulus developing rapidly almost overhead. From the base and side structure it was clear that these would produce hail within half an hour or so. 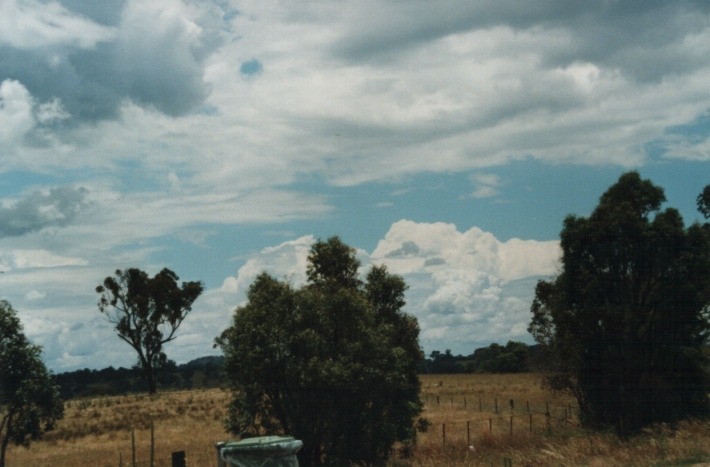 I found a vantage point north of Armidale (2:10pm) and watched as the cumulonimbus began to precipitate both south of the Armidale area and on the eacarpment 20 kilometres north of Armidale on the way to Guyra. This escarpment was my next target. It was interesting to watch the cells of heavy rain with large drops thunder down leaving a wet dry pattern on the road. As I made my way up the steep escarpment, very heavy rain fell with occasional hailstones. Once under cover at the service station on top of this range, hail began to dump down profusely. The size of the hail was pea sized but I can say it was more hail than I was used to. After a couple of minutes it stopped. Heading further north, the occasional hailstone fell with some slightly larger but I doubt exceeding 1.5cm (I would assume that further east, hail would have become slightly larger. 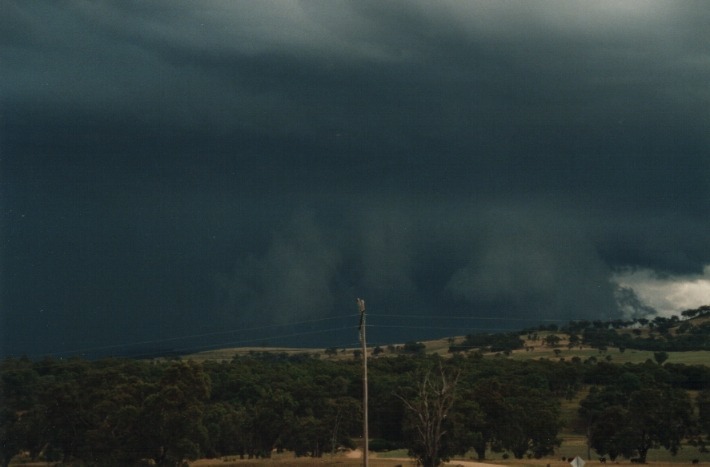 At this stage, I realised that these storms were much smaller then the beasts that were further north. After a phone call to Michael Bath, I decided to head straight for Glen Innes. 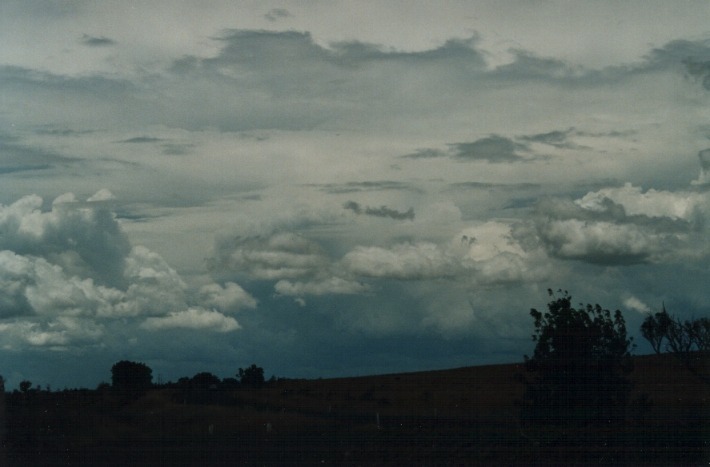 By now, storms were developing everywhere particularly to the east. I made a stop on the Ben Lomond Range (elevation 1400m) (about 3pm) and watched as a couple of impressive cumulonimbus develop, darken bases and dump. These cells definitely had a severe structure. I was hoping that the road would lead me closer to these cells. But as I neared Glencoe, I could see that the storms were heading and developing north northeast and the road headed north. So I made the next stop at Glencoe in order to get more photographs and video of the impressive structure. 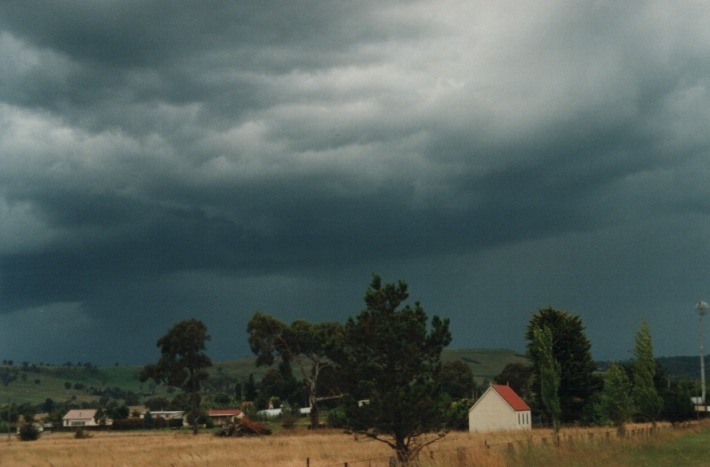 By about 4pm, I was in Glen Innes and the storms were now looking featureless. I could see the back sheared anvil of a storm to the north through a break. There were clear skies to the south and southwest which did not impress me! The only thing I could do is wait which would allow Matthew Pearce to meet me in Glen Innes. 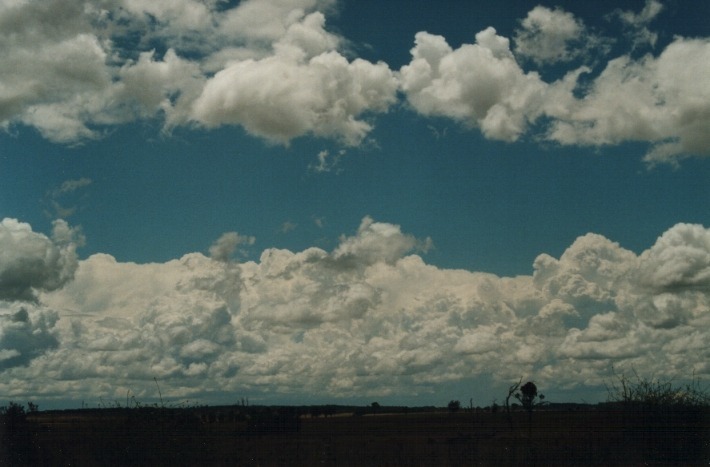 After a couple of worthy updates, I kept watch of a line of cumulus developing further to the south near Armidale. One large cumulus in particular was slowing breaking the cap. 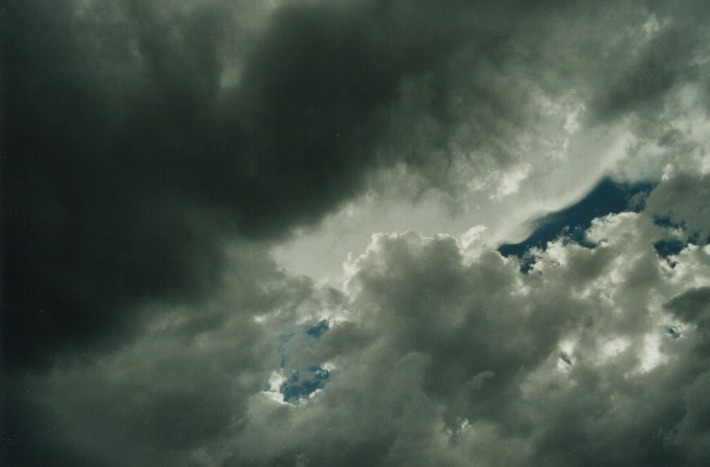 After arranging to meet Matthew in town, it was clear the cumulus had begun to explode. By the time I got into town, an avnil was starting to develop. Perhaps not so impressive at first but this storm seemed to be under the influence of the jet. The storm showed no signs of weakening. After about an hour watching this system approach, it began to reveal a crisp, side anvil overhang. This is indicative of severity. 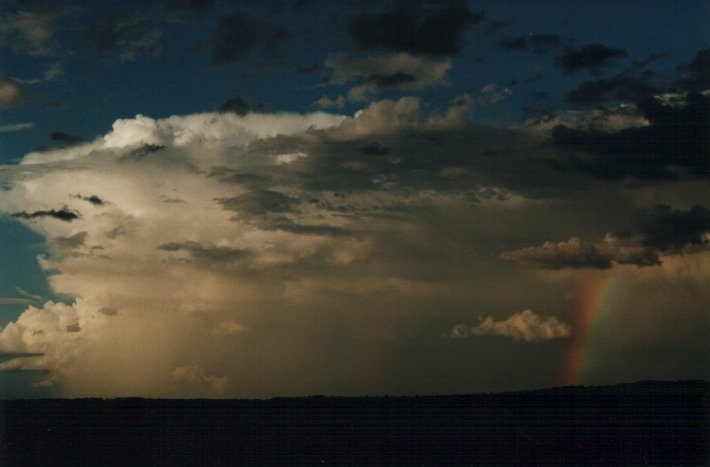 It became clear that the overhang was also a sign that the storm was moving to the left of the wind field. 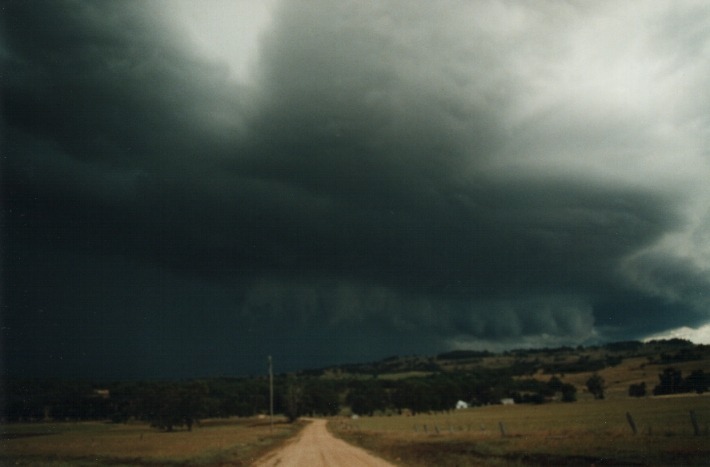 Matthew and I decided to head west towards Inverell to intercept this storm. After about 5 or so kilometres west of Glen Innes, we stopped for a few photographs and video. 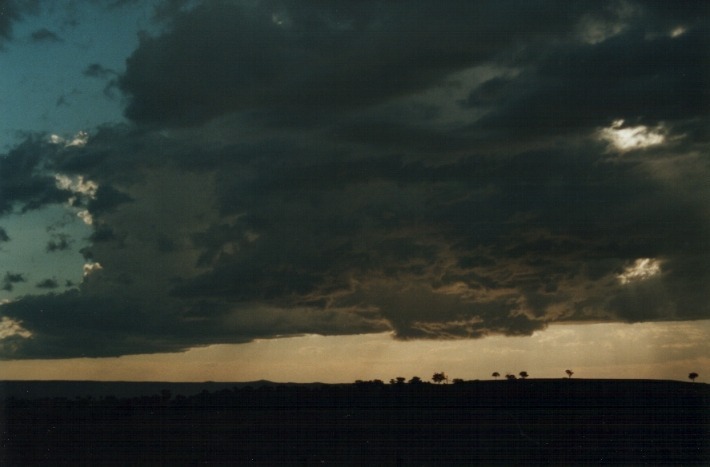 The overhang was hidden slightly by clouds dettached from the base of the storm. It was still too far to show its true severity. Next stop was about 30 kilometres west of Glen Innes. 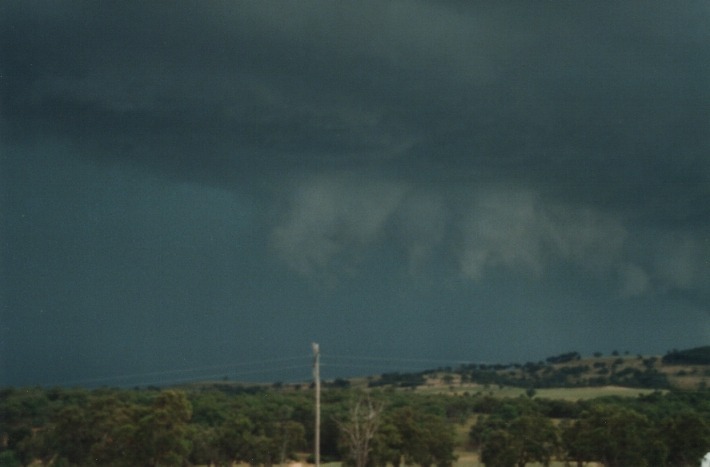 From here, the features were looking much better: the main scud curtain extended from the south-southwest of the storm to the north-northeast. 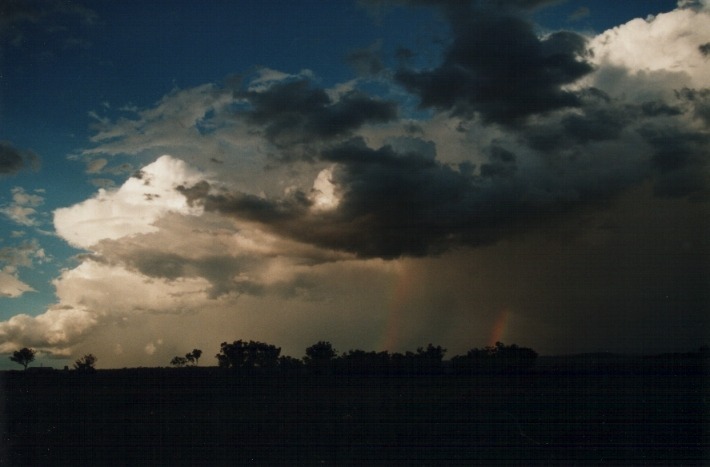 The storm was clearly moving at a rapid pace when compared to the foreground. The precipitation was a spectacular dark-greyish with a deep green tinge. All indicators would normally point to a large hail event. As it got close for comfort, we moved further west and stopped one last time for a closer view as the precipitation cascade hid all the hills. And then common sense prevailed!! We had to get out of there. My instinct wanted me to stay but...my car didn't! 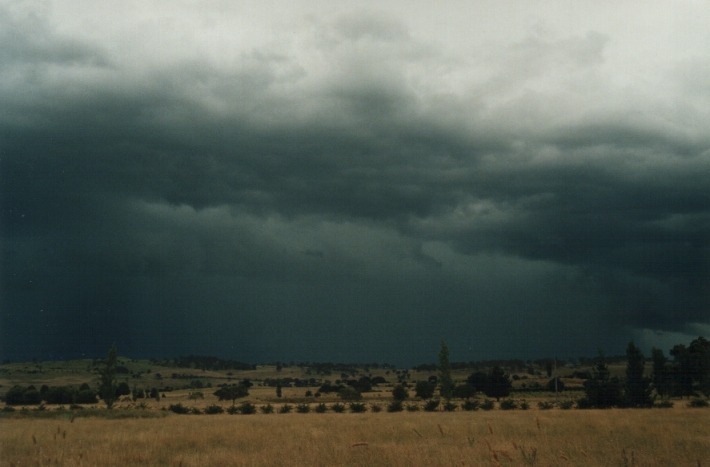 After travelling a few kilometres west again we found ourselves just outside the storm. Since the storm was moving quickly, it was only necessary to remain a few minutes and we headed straight in. 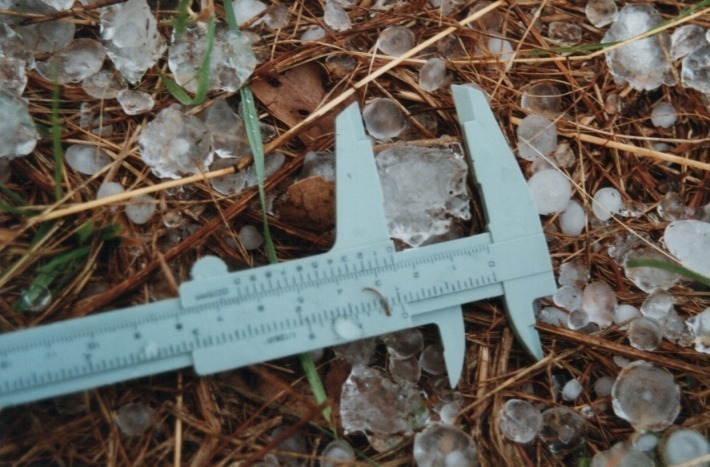 The reason for this was to measure any hail as soon as possible. 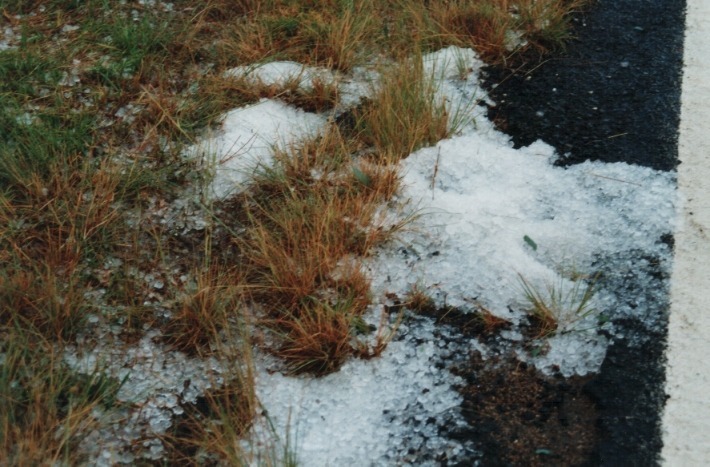 After travelling through some heavy rain and occasional hailstones, as well as running over a tree branch, we found ourselves passing stretches of hail swept from the road onto the side of the road. As it was just your typical smaller hailstones, I travelled further and found less hail on the grass so we stopped there. I got out of the car and was absolutely astonished! There were larger hailstones. 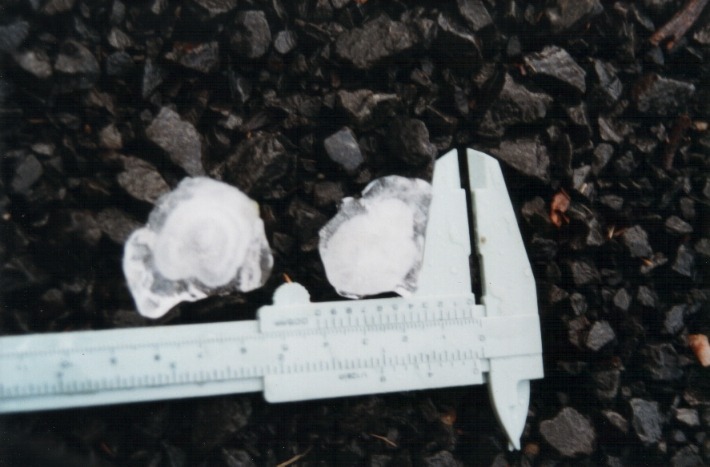 At first, it seemed fused together smaller hailstones but as we searched we found larger and larger single hailstones measuring up to 3.5cm in diameter. It was interesting that some were thin. After more photographs up the road with the piles of hail and more measurements, it was time to travel to Inverell. We were greeted to a spectacular sunset reflecting on the storm to the north with overshooting top. Wow!! What a site! Inverell was a great place to stay the night as well. I feel this chase is amongst the great chases with good judgements and decisions being made. The hailstones as discussed were wierd and also I seemed a little surprised even though there was indications of severity. A chase well enjoyed. Thankyou to all those who provided us with updates - particularly James Harris, Max King and Michael Bath.